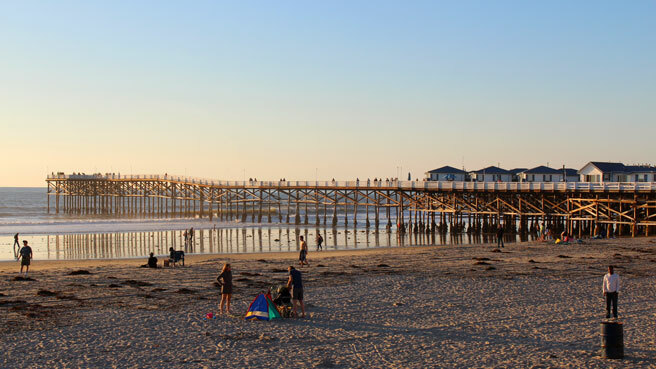 With some of the calmest waters in San Diego and a plethora of playgrounds to boot, Mission Bay and Mission Beach are ideal spots to spend a summer vacation. Take a side trip to Sea World or amuse baby at Belmont Park, a seaside entertainment zone. 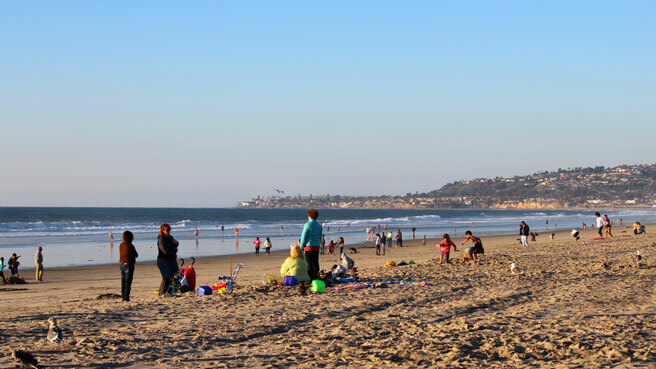 Atmosphere: While Mission Beach attracts all kinds of folks, Mission Bay tends to be more family-oriented. For a quieter vacation where you can bond with baby in the beautiful sunshine, stay in Mission Bay where there are fewer amenities but more serenity. Parking and Entrance: Mission Bay has several free parking lots with direct bay or playground access. Many of these are literally right off the 5 freeway. Mission Beach also has lots along the shoreline that may require you to dodge a roller-blader on the busy walking path before reaching the sand. Nice Walks and Views: Long walking paths curve around the bay, weaving in and out of grassy areas, playgrounds and pretty trees. Here, you can take your toddler for a stroller ride and stop whenever he wants to. Activities for Toddlers: A pirate ship, dinosaur slide and numerous interesting playgrounds cover the shores of Mission Bay. When your toddler finally makes it past them to the little beaches, he’ll love the calm coves and tiny waves. Be sure to check the water quality first. Bathrooms: Bathrooms are located near the main playgrounds and parking lots. Perks for Parents: Mission Beach is alive with activity from familiar shopping plazas to beachy restaurants. At Belmont Park, dad will enjoy trying to win a stuffed animal from a carnival game. Mom will get a break from entertaining baby at the glow-in-the-dark mini golf, where eyes will watch the neon colors for hours. Where to Stay with Kids: Resorts abound around Mission Bay, especially on the western side near Mission Beach. For a different experience, stay at Hilton Mission Bay, which is close to the playgrounds and coves and offers children’s activities, babysitting and playpens. Be aware that the location requires a car to get to restaurants other than the hotel’s, and there is a parking fee. What Else to Do: Let your toddler loose in the Sesame Street-themed area at Sea World, complete with beloved characters Elmo and Abby.